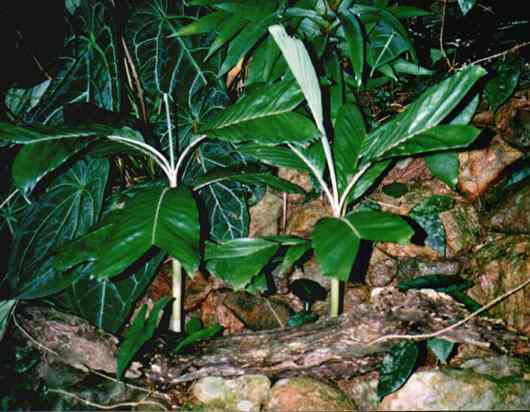 Description: - A solitary small understorey Pinanga from Malaysia coming from altitude this species is quiet tough taking temperatures down to 2.C and up to 40.C. Leaves are whitish on underside this palm will only grow to 1m tall likes regular watering in shady position fertilize once a year and mulch well. Growing Climate: - Temperatures down to 2.C and up to 40.C.